One of my favourite ever bible verses is Colossians 3:23 " Whatsoever ye do, do it heartily, as to the Lord, and not unto men". It's basically saying that whatever you do you should put your heart into it, be completely focused and do it the best of your ability in the name of Jesus Christ. I really want to apply this verse to my life this year, and believe it will have powerful results. Leading on from the last resolution, I want to make God an even bigger part of my life this year by spending more time reading His word, learning about Him, becoming more like Him and growing His kingdom. It really is the most important thing I could spend my life doing and definitely a goal I want to achieve this year. The majority of my problems could be solved or at least made easier if I just got organised. I want to be a lot more productive this year so being organised will really help me do that. I'm pretty sure this is a resolution everyone makes every year, but for me it's one that's long overdue. I know that losing weight isn't just about going on a diet, it's a lifestyle change and I'm hoping 2015 is the year I have the commitment and maturity to make that change. In 2014 I met a lot of bloggers at events and they have really inspired me to put more effort into my blog. I always have so many ideas for my blog/posts but I either lose faith in them or think that I need to wait until I have all of the props ready to do the photos, or something else will just come along and I never get round to actually doing what I planned. Hopefully by organising my time better and having more faith in my ideas, I can really grow my little corner of the internet in 2015. I'm pretty sure Confessions of a Shopaholic is loosely based on my life. Just like Becky Bloomwood, I do love a bit of retail therapy but this year I'm determined to have more control over my spending. I'm going to be 21 in just 3 months (eeek) so it's about time I was wiser with my money. I'd also like to save more so I can buy things I actually want and need, instead of wasting it on impulse buys. I'm very creative by nature and as nerdy as it sounds, I love to learn new creative skills . I have already seen a few one-day classes I'd like to attend so just hoping that God makes that possible for me this year. Finally, I was watching Princess Diaries the other day (don't judge me) and the speech at the end where she talks about being selfless always really strikes a chord with me. I always see quotes about putting yourself first and making sure that YOU are happy over other people but I just don't think that's a good use of my time. I'd really like to use the time, resources and skills God has given me to help other people this year and to generally be more considerate of others. 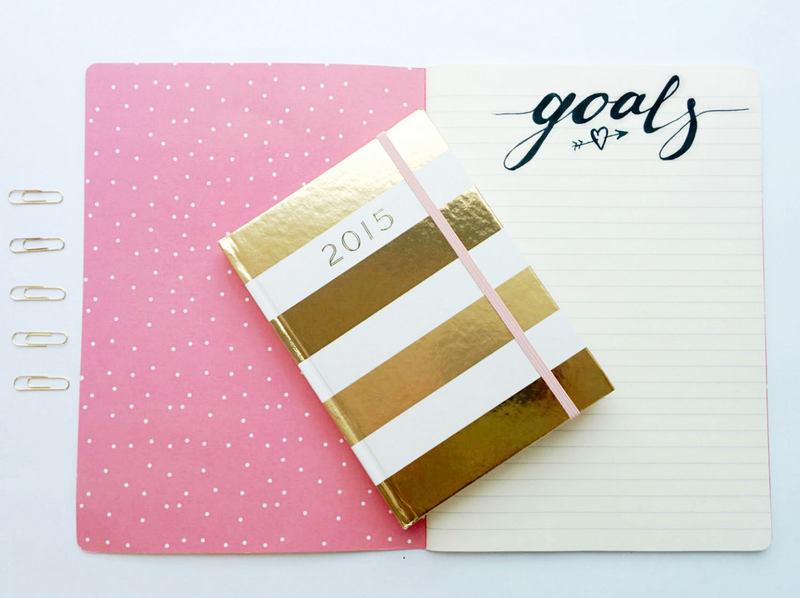 I'd love to hear some of your 2015 resolutions and goals so please leave them in the comments below! I feel like this year is going to be a good year for my blog. I want to spend more time on it and work on it some more. As for myself, I want to be more selfless but in good balance with being myself and looking after myself more. Hello Angi. Wish you a very blessed, prosperous and Christ centered New year. I am so glad to know you through your profile on the blogger. I am glad to stop by your blog and the post on it. So blessed to go through your list of few things you want to achieve in 2015. There are three most impressive things you have said and are applied to every individual who believes In the Lord Jesus Christ they are Do things heartily, Become more Godly and Be selfless. It is my prayer that the Lord your life will enable you to achieve few things you have listed. God willing I remain a follower of your blog post at the end of the year 2015 I will just remind you to take a stock of those things and she how far you have been able to achieve those things. Well just let me share with you about me and the ministry God has given to me. I am in the Pastoral ministry for last 35yrs in the great city of Mumbai, India a city with great contrast where richest of rich and the poorest of poor live. We reach out to the poorest of poor with the love of Christ to bring healing to the broken hearted. We also encourage young people as well as adults f rom the West to come to Mumbai on a short/ long term missions trip to work with us in the slums of MUMBAI during their vacation time. We would love to have you come to Mumbai with your friends to work with us in the slums of Mumbai by being hands and feet of Jesus. during your vacation time. I am sure you will have a life changing experience. My email id iis: dhwankhede(at)gmail(dot)com and my name is Diwakar Wankhede. Looking forward to hear from you very soon. God's richest blessings on you.